India leads the world with 11 grounds suitable for playing Twenty20 international cricket matches. A cricket bat and ball. 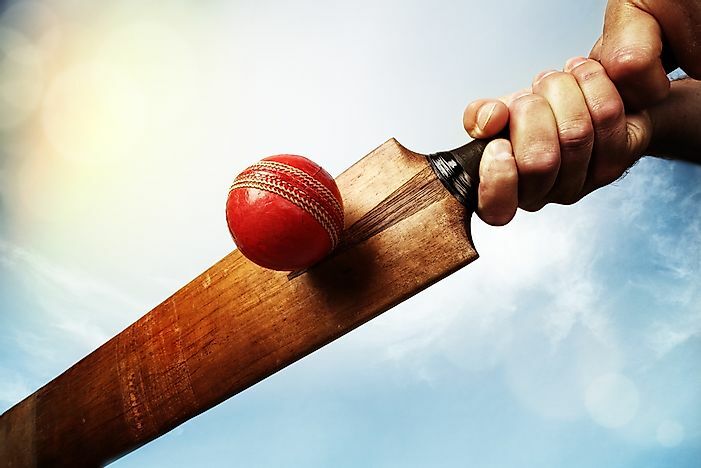 Cricket gained prominence in the 18th century, and has grown internationally since then. The Twenty20 International cricket is a type of cricket where every team faces 20 overs. The first of this game was played between Australia and New Zealand on February 17, 2005. The Twenty20 International Cricket pits the two top members of the ICC (International Cricket Council) against each other. The full members of the ICC include New Zealand, England, West Indies, Pakistan, India, Zimbabwe, Sri Lanka, and South Africa. Cricket was first played in India by the British colonialists, and it has grown to become one of the country's most popular sports. The nation prides in a total of 11 T20 international cricket stadiums, the highest in the world. The first Twenty20 International game to be played in India took place in Brabourne Stadium in 2007. This game pitted India against Australia and resulted in a victory for India. The stadium boasts a capacity of 25,000, and it is situated in Mumbai, Maharashtra. Also located in Mumbai, Maharashtra is the Wankhede Stadium with a capacity of 33,108. This stadium hosted its first twenty20 game in 2012 between India and England and a subsequent one in 2016 between India and West Indies. South Africa has the highest number of Tweny20 international cricket grounds in Africa and the second-highest in the world at nine. Cricket ranks as the second-most popular sport in the country which is recognized as a top cricket-playing state. The history of the sport in South Africa began with British occupation. The first Twenty20 game on South African soil was played on October 21, 2005, in New Wanderers Stadium. The Stadium is found in Sandton, Johannesburg with a capacity of 34,000. The last Tweny20 game to be played in the stadium pitted South Africa against Sri Lanka on January 22, 2017. England boasts a total of eight Twenty20 international cricket grounds. England is the cradle of cricket where it has been played since the 16th century. Since then, cricket has grown in popularity to become one of the most preferred participation sports in England. The first Twenty20 international game in England was battled out against Australia in the Rose Bowl on July 13, 2005. The Rose Bowl is a cricket ground built in West End, Hampshire. Lord's Cricket Ground, situated in St John's Wood London, is recognized as the largest English cricket venue, and it hosted its first Twenty20 international game on June 5, 2009. Australia is ranked fourth with seven Twenty20 international cricket grounds. The sport is sometimes identified as Australia's national sport since it enjoys local, national, and international support. The Brisbane Cricket Ground in Queensland hosted the country's first Twenty20 international game against South Africa on January 9, 2006. It has a capacity of 42,000 and is home to the Queensland cricket team. The International Cricket Council organizes the global championships of Twenty20 cricket. The tournament generally takes place after two years, and six of them have been played since the inauguration games in 2007. 16 teams participate in the games, 10 of whom are ICC full members while the other six are affiliate members.